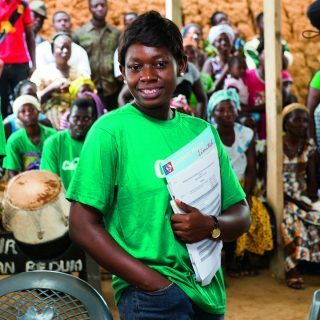 This post—written by Oliver E. Pierson, MCC Resident Country Director, Malawi, and Ben L. Campbell, MCC Director, Environmental and Social Performance—was originally published on Millennium Challenge Corporation’s blog. Annie lives in Malawi’s Shire River watershed, where limited economic opportunities and arable land force families to consider unsustainable farming practices. Her story is like that of many of her neighbors. For 10 years, Annie produced charcoal by burning trees to sell to consumers for cooking. To run her business, she hired young men to cut down trees and prepare them for charcoal production. 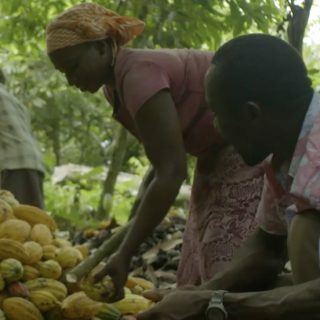 She knew her work would contribute to deforestation, soil erosion, and land degradation, but it was her livelihood. Annie’s business grew, and before long she produced more than 15 bags of charcoal each month. Burning trees for charcoal is still a common practice across Malawi, where economic opportunities are limited. But the environmental and economic costs are high. 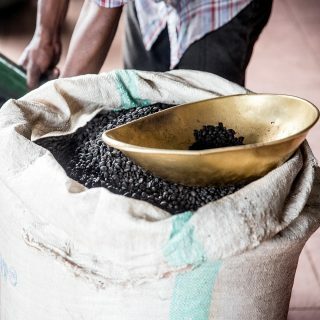 In Malawi, the effect of charcoal production over time has created heavy sedimentation loads in the 250-mile-long Shire River, the most important river in this Southern African nation. The river supports three hydroelectric plants that supply the vast majority of Malawi’s electricity. The river’s vibrant watershed is also a source of drinking water, crop irrigation, transport, and recreation for local communities, most of which rely on farming and the surrounding natural resources for survival. But high rates of deforestation and river bank cultivation—largely from charcoal production and agriculture—have resulted in serious hillside and river bank erosion, which contributes to heavy sedimentation in the river. The sediment clogs intakes and turbines at the hydroelectric plants, causing regular power outages. Increasing soil and land degradation has also begun to threaten agricultural production and the availability of clean water. Through its $350.7 million compact with the Government of Malawi, MCC is helping to limit erosion and increase yields by funding technical support and training on sustainable land management and agricultural practices, and establishing an environmental trust to generate long-term financing that promotes better land-use practices among farmers. The organizations that make up the trust—including sugarcane producers, bottlers, water utilities, and the electric company—are all affected by the region’s environmental challenges. They often have no choice but to use supplemental generators to make up for losses of power, which cuts into their production and profit. For farmers, new training and skills aim to improve yields. And for trust companies, identifying sustainable funding sources, such as levies on tariffs and contributions from other donors, will reduce pressure on forests and hillsides as their source of water. By linking the land-use interests of downstream organizations with the needs and activities of upstream communities, the project aims to create long-term funding that will sustain livelihoods and protect the environment, even after MCC’s compact has ended. Farmers who have participated in MCC-supported activities have adopted conservation agricultural practices that are producing enough maize to meet their families’ needs without exacerbating soil erosion—and even provide a surplus of maize to sell at local markets. MCC’s work in Malawi is also empowering women with opportunities to participate in educational sessions on sustainable agricultural practices and discussions on gender roles, women’s rights, domestic violence, HIV/AIDS, responsible fatherhood, and the importance of allowing girls to go to school before marriage. 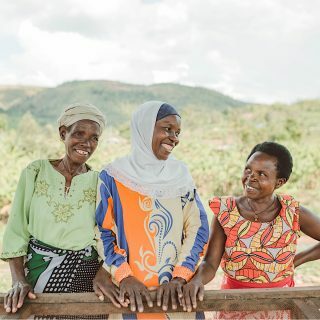 The dialogues promote a better understanding of roles, responsibilities, and equitable decision-making about land use and natural resource management. 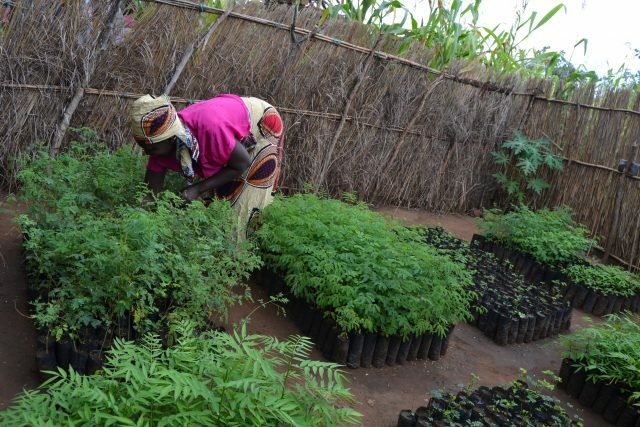 Most of the charcoal producers in the region are women, who, like Annie, have now abandoned their charcoal businesses and transitioned to growing and selling tree seedlings. Learn more about MCC here, then read similar stories about Life on Land—one of the 17 Sustainable Development Goals.